Every 18 months, New York State drivers can receive a four point reduction on their NY DMV driving record if they finish an approved Internet Point and Insurance Reduction Program. Our internet program fulfills NY defensive driving requirements for reducing points. The IPIRP was designed by the NYS DMV to aid drivers in reducing moving violation points and decrease their insurance. Successful completion of this defensive driving course enables you to a mandatory 10% reduction on your car’s liability, no-fault and collision insurance rates. The insurance reduction is good for 36 months (3 years) and is renewable every 3 years by completing the course again. The NYS DMV allows motorists who received points on their DMV record within the past 18 months to reduce up to four (4) points off their driving record by successfully finishing this defensive driving program. Any New York State defensive driving course that is an approved Point and Insurance Reduction Program by the New York Department of Motor Vehicles must meet minimum timing requirements. Currently, NYS law states that any Point and Insurance Reduction Program, online or classroom, must involve at least 5 hours and 20 minutes of instruction time. The popularity of the Internet has revolutionized many industries, including the way leaders of the trafficschool industry offer their defensive driving courses. At NewYorkTrafficSchool.com, we make available online defensive driving courses for all of New York that allow students to skip the traditional sit-down office classroom in favor of taking a paperless course from any location. Not only is on line defensive driving more convenient for New York State drivers, it saves paper and cuts down on unnecessary waste of our precious natural resources. When you partake in NewYorkTrafficSchool.com's New York State Defensive Driving course, you become eligible to reduce as many as 4 (four) points from your New York State driver record. The NYS DMV will automatically receive notice of your point reduction eligibility and you will also qualify for a mandatory 10% insurance rates discount. Point reduction only works for applicable traffic violations that happened within eighteen months of your course completion date. Defensive driving for point reduction, in New York State, cannot be used to reduce points you receive from traffic violations you may receive in the future. Get all you need for your 10% NY automobile insurance savings and four point reduction on your New York DMV driving record - and it only costs $24.95, Including your Completion Certificate and live support! 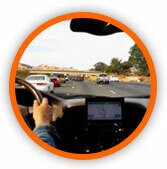 NewYorkTrafficSchool.com is committed to providing you more than just the ideal defensive driving class. We also pay special attention to the needs of our patrons as they do the class, from beginning to end. Talk to our helpful staff in New York State and they will be happy to listen! 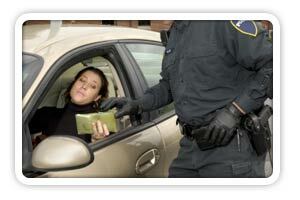 In a hurry to finish your New York State Defensive Driving requirement? Then you can go at your own tempo and finish the class in a single sitting. Or take your time and split the class into multiple sessions, doing a little here, a little there. We save your work as you go. It's that uncomplicated and convenient!